While there are various options when it comes to a POS system for your barbershop, different systems have unique features. The point of sale option you choose will depend on what’s ideal for your retail establishment. For barbershops, booking and commission reporting are most important, with things like loyalty and rewards coming in next. Ideally, you want clients to feel like they are valued, which will keep them coming back to your shop. Having a system with a loyalty program can be crucial to the customer experience and how your service is perceived. In our review of the most popular POS systems for barbershops, we found their pricing to be pretty close in range. The features is where they differed. iConnect POS is a cloud-based point-of-sale system, whose business productivity software integrates with hardware easily. It is very simple to upgrade to iConnect POS and save time and money. Among its features are staff management and the option to accept all methods of payment. You can use the power of tablets, smartphones, web and desktop to connect with staff and customers seamlessly. iConnect is a simple, flexible, and user-friendly POS system which supports both online and offline sales. Your clients can also buy items at your shop and have them shipped to their homes. The system offers the option to sell memberships that can be renewed automatically - daily, weekly, or yearly depending on your preference. The system even supports rollover balances, ensuring your loyal customers are more satisfied than ever. Staff can quickly log in to the system using a unique PIN that a system admin assigns. The unique Business Intelligence feature provides real-time reporting in the form of well-designed, easy-to-read charts and graphs. You can track stock levels, generate reports on top selling services and items and create purchase orders. You will always know what you have in stock and keep your customers’ favorite products in supply to increase satisfaction and loyalty. 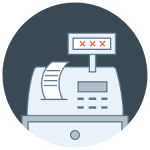 iConnect’s customizable product attributes like color and size make checkouts quick and simple. You can also create add-ons that make it possible to upsell any item or service by tapping an icon. Barbershop owners can bundle products and services together in convenient kits. A custom price can be set for any bundle or kit for simple pricing upon sale. Moreover, you can track transactions, appointments, and other information in real time for customers. This way you always know who they are and how to market to them effectively. IConnect is a completely scalable system which works just as well for a single location as it would for thousands. It is easy to switch between multiple locations and maintain full control of each one, regardless of where they happen to be. Access special reporting, controls and features tailored for large scale businesses. With iConnect, you can book appointments on any device, online and in-store. You can also email and text reminders to your clients and service providers. IConnect’s booking features cover all your bases. One central administrative account manages multiple locations. Users of iConnect are able to set access permissions, assign appointments, create schedules, and manage commission rates all at once. The software gives you the power to manage your staff on the go. You can set hourly pay rates for your staff, track their hours, and set commission rates per staff member, service or product, or all three! Royalty has been a mystery in the sales industry for quite some time. iConnect sheds light on it. You can calculate royalties based on a fixed sum or revenue. If your Internet is down, the iConnect POS apps make it possible for you to keep running your business offline. All data will be synced to the cloud when you get back online. Detailed reporting features help barbershop owners keep tabs on all their devices running the software. This way you can process credit card transactions from your iPhone, iPad, or computer. You can use their processor to take advantage of the lowest rates. Discounts and one-time promotions are created quite fast, so you can respond to the needs of your customers. The system updates your inventory count automatically as you receive new items. This way it is always 100% accurate. To speed up the process, you can attach a Bluetooth scanner to your mobile device or a USB barcode scanner to your computer. 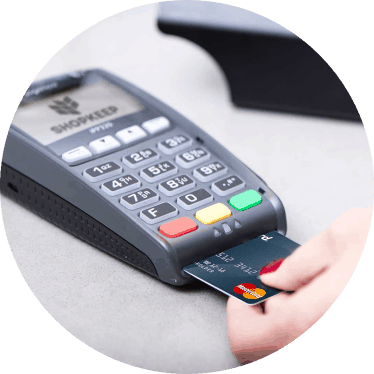 IConnect POS surpasses the industry standards for EMV and PCI compliance. Transactions are fully tokenized and encrypted. The in-depth Smart Reporting feature paints a vivid picture of your shop’s performance. The software also allows employees to clock in and out, tracks their hours, and displays everything neatly in a compact report. Keep customers informed and engaged through the software’s built-in email marketing. They’ll never miss a deal, and you’ll generate a higher yield. Text message marketing is a more personal connection that your customers are sure to appreciate. By offering your customers a discount code or telling them about a new promotion, you are letting them know you appreciate their business. It’s a very fine touch. The speeds with the data sync can be challenging sometimes. Using iConnect makes every task very easy to perform, including creating customer profiles and controlling sales, inventory and payment transactions. Nobly is a great solution for your barbershop or salon. The lightning-speed back office gives you the reports you need exactly when you need them, letting you dedicate more time to your customers. Tracking commission becomes easier when you add employees to products on a single bill. Nobly is truly an excellent package for a busy barbershop. Nobly offers in-depth insight into your business wherever you are, at all times. Barbershop owners can track sales by customer, staff member, and more. The integrated payment options give you the chance to choose the best terminal for you. Track your customers’ purchases, send promotions and keep them coming back. Track staff sales and schedules using a unique log and track commission. This POS system integrates with a variety of fast and reliable payment methods, making the transaction process simple. Faster transactions means a higher number of transactions. The integrated payment option lets you perform more transactions per minute than you could before. Nobly offers countless of payment methods, including vouchers, Apple Pay, contactless payment and major credit cards. It reduces transaction times so you get through lines fast and rack up more sales with ease. The menu and navigation system provides all the necessary information to issue reports via the back office function, but it is not intuitive enough according to some users. Nobly is an excellent system overall, providing immediate information off site to manage both stock levels and accounts. Clover’s trademarked, sleek, modern design is perfect for a barbershop and, indeed, any business that deals with appearances. The design was inspired by companies like Apple and Tesla. However, it is as a comprehensive point of sale system and business management tool that Clover really shines. Often referred to as the first smart POS ever, Clover offers analytics, business reporting, a full-scale app marketplace and compliance with PCI-DSS standards. It can give you the software tools you need to customize your entire business and craft your system accordingly. The system makes it possible to accept multiple payment methods, including mobile payment systems like Apple Pay and Google Wallet and EMV chip cards. It can also help keep track of your appointments for you – no need for that old ledger any more. Instead, you can update your scheduling system with the Salon Scheduler app, which is available in the Clover App Market. The Salon Scheduler features numerous functions and benefits for barbershop managers and owners, such as the option to schedule weekly appointments for multiple staff members, record past appointment history, make backups on a daily basis and remind customers about upcoming appointments by text messages. You can run your shop from anywhere by syncing with the Clover Salon Scheduler smartphone app. Clover makes marketing a breeze with a vast array of software solutions aimed at enhancing customer loyalty. With Perka Rewards, you can make custom loyalty programs to keep clients coming back. The Digital Work of Mouth feature offers customer incentive programs, mobile and social media communication tools, coupons, and more. Turnkey Processing, Clover’s authorized retailer, assists the company’s clients at each and every step of the way, which helps bring technical issues down to a minimum. They provide set-up, integration, and ongoing support as your barbershop grows and your revenues with it. On the downside, Clover cannot be used with a different bank. If you buy it through one bank and decide to change your bank because its fees are too high, or for any other reason for that matter, you can’t use the system any more. Users have stated Clover’s apps have a limited range, but we can’t confirm this for a fact. This POS system is easy to set up. Adding items and changing pricing are a breeze, and there are plenty of really cool features. It’s a great system for all retail establishments, not just barbershops. 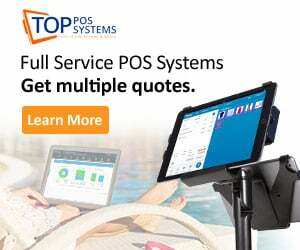 There are four crucial features when it comes to choosing the best POS system for your barbershop – payroll, retail inventory, timecard and reports. You need to make sure that your software of choice will be able to manage retail products and your back bar. This cost to business can be huge and decrease your revenue per customer. It is important to be able to track your product usage so you can reorder when needed. 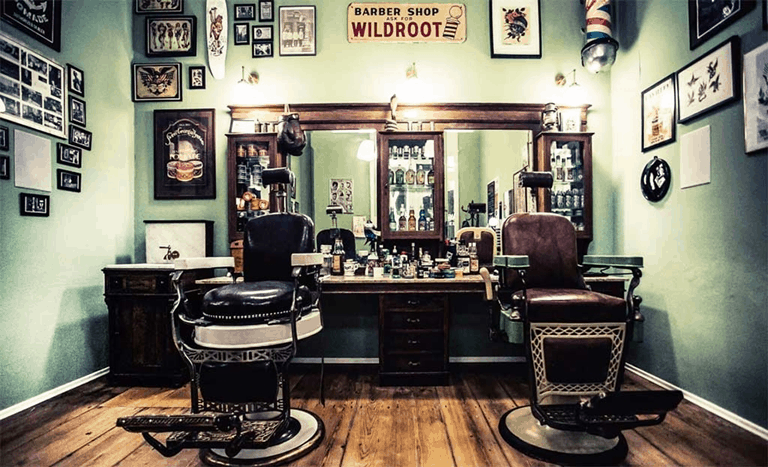 Some barbershop management software solutions will alert you when you are running low on stock, which ensures you will never miss a retail sales opportunity. Is the POS system able to track hours worked, breaks, and holidays? If you are offering commissions on service and retail products being sold, it should also manage them. One of the best things to have nowadays is automatically generated reports, so you are able to track your shop without having to print reports out. This is also harmful for the environment. You should also be able to view your reports on your tablet or smartphone. Finally, you and your team should be able to check your timecard or schedule on a computer, tablet and smartphone. It is important to be able to get information anywhere. You should not have any software that needs to be downloaded, unless it is an app. You must take care to ensure that your chosen software is in the cloud.